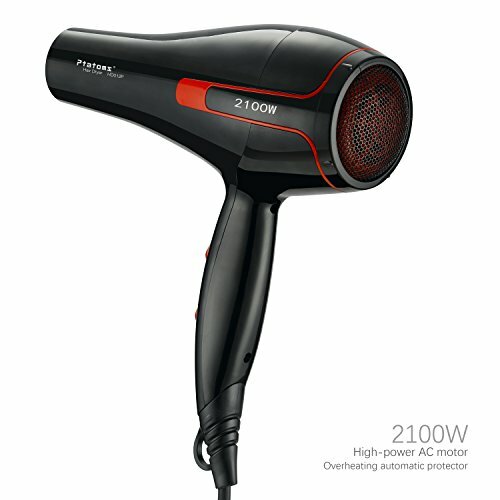 AC 2100W : Lightweight High-power AC motor hair dryer,More easily customized to professional styling! 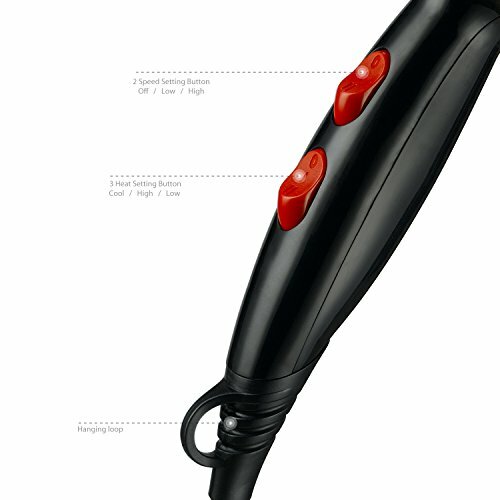 Cool Shot Button: 2 speed leves and 3 heat settings, easy to control to dry hair and make hair style. 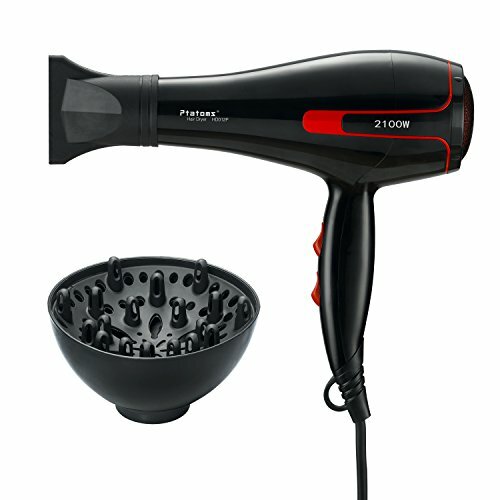 frizz than standard hair dryers.Make your hair softer and less static. 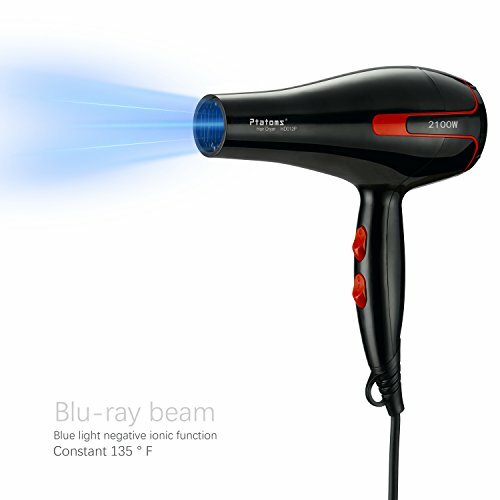 and heat to the hair, with a 57°C (135 °F) thermostat to help prevent damage and make a beautiful hair style. 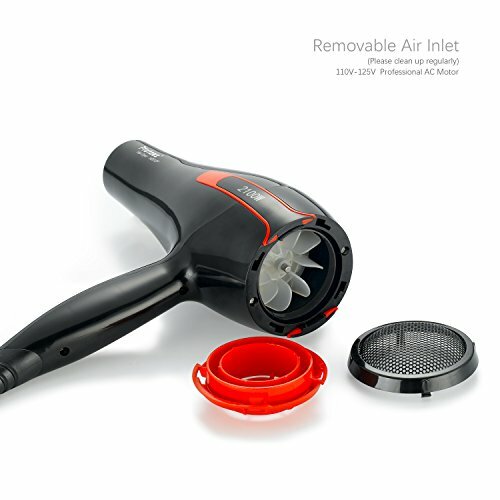 automatically cut off the power supply, to prevent fire, damage to people or the surroundings. 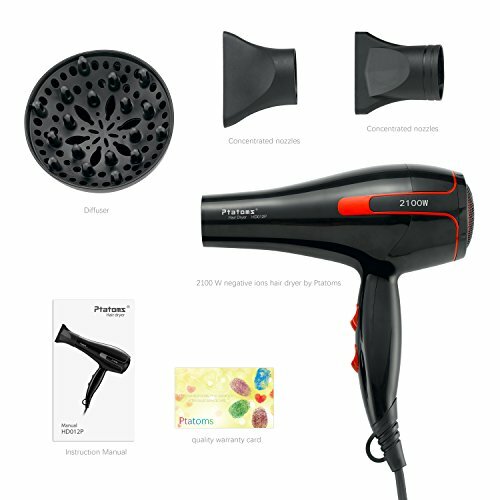 -Suction filter: use the strong metal honeycomb structure filter to prevent inhalation of hair. the high temperature resistant plastic and insulated pipe. flame retardant materials to prevent burning and leakage, and ensure personal security.